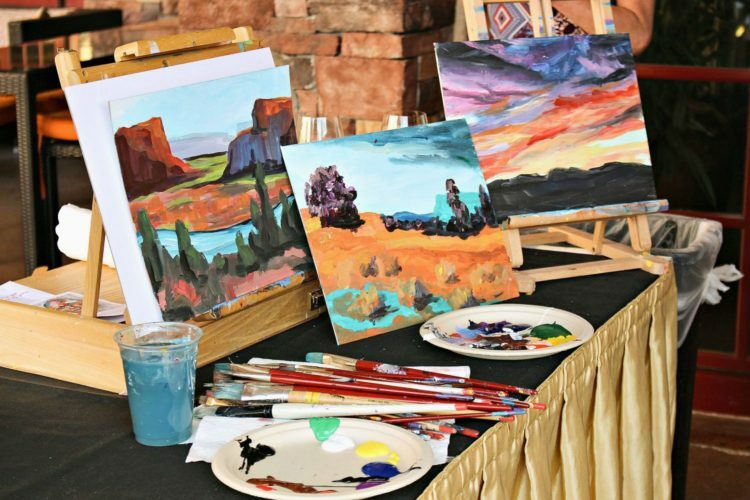 Bring out your inner artist at Hilton Santa Fe Buffalo Thunder’s celebration of the arts for resort guests and locals alike. The city of Santa Fe’s culture is deeply rooted in the arts and each August, the hotel launches a lineup of art events and activities. Enjoy live painting, Pojoaque youth hoop dances, Poeh art showcases and more. There’s even a $2 million art collection to browse. Enjoy the following classes now through the end of September. 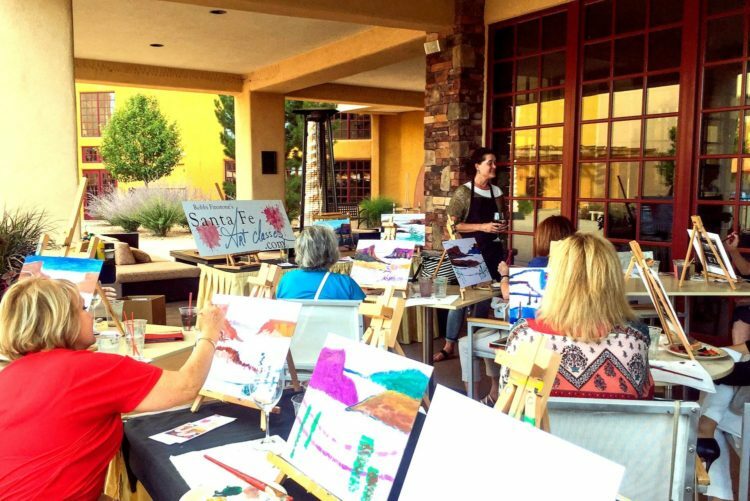 Every Thursday from 6 to 8 p.m., guests can try their hand at painting a masterpiece while enjoy extended happy hour specials on the Red Sage patio. The class is hosted by internationally renowned artist Robbi Firestone who continues to bring worldwide attention to Santa Fe’s contemporary art scene. $45 per person/ Includes the painting lesson and art supplies. “We love painting on the patio, and we are thrilled to continue our third annual partnership with Robbi Firestone by sharing our love for the arts with our guests,” said Christi Windle, director of sales and marketing, Hilton Santa Fe Buffalo Thunder. Enjoy fun hoop performances every Friday at 6 p.m. in the resort lobby. Take in the best of the Southwest every Thursday and Friday from 5 to 7 p.m. when guests and locals can browse and purchase one-of-a-kind art pieces including pottery, jewelry and stone sculptures. Each piece is hand-crafted, ranging from traditional to more avant-garde style, and showcases the peublos. The resort itself also has its own art collection to display. A complimentary tour is offered to explore the resort’s curated art collection, which is valued at more than $2.5 million. Guests can download the Geotourist app and follow the user-friendly directions available at the Concierge desk. Different points along the way feature an auto-play guided tour to teach on the displays of pottery, painting, sculpture, mosaics, weavings and pieces of work representing every Native Tribe in New Mexico.